WORLD OF GK: BREAKING NEWS:- FOREST GUARD EXAM PROVISIONAL ANSWER KEY DECLARED. BREAKING NEWS:- FOREST GUARD EXAM PROVISIONAL ANSWER KEY DECLARED. 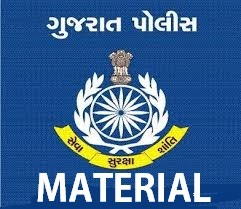 Gujarat Forest Guard Official Provisional Answer key Declared 2016 : Gujarat Forest Department has published Provisional Answer key for Forest Guard Exam.This exam was held on 09-10-2016 at various center in gujarat.